Letter of Recommendation, Brisbane Roar. On behalf of the Brisbane Football Club, we wanted to express our sincere thanks and appreciation for the projects undertaken by Pristine Homes. Throughout the course of our relationship, the club has requested Pristine Homes to conduct several projects to support the growth of our organisation. This include-the construction of offices, renovations on aged assets, innovation and design of bespoke infrastructure to support the Men’s and Women’s professional teams and being a point of contact for emergency building services. Without question, the craftsmanship, attention to detail and the repeated requests from the club to avail of your services, clearly highlights the professionalism and skill of your company. 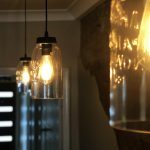 Pristine Homes is a valuable partner of the Brisbane Roar Family and we would certainly advocate on the services you provide. On behalf of the Brisbane Roar Football Club (Club), we wanted to express our sincere thanks and appreciation for the projects undertaken by Pristine Homes. As the Head Coach of the Men’s Hyundai A-League team and overall Head of the Clubs Football department, it’s imperative that the infrastructure to support a professional club is the highest level of craftsmanship and workmanship. Your ability to execute precisely on my desired projects to support the team ensures we have the best environment to achieve success. I would highly recommend your company to any person requiring your services. Mr WordPress on Need a quality Builder? 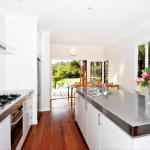 Pristine Homes is a family owned business in South-West Brisbane with over 60 years of experience. Excellence is our trademark and that’s not just in what we do but how we treat our happy customer.